The largest Chinese New Year events happen on Oahu so we have a separate guide with parking, times, and other helpful tips coming soon. While the majority of events on Oahu occur in Chinatown (Map Link) it can be confusing as to when you need to be there as Chinese New Year celebrations happen over several days. City & County of Honolulu Parades and Events - Chinese New Year parade and event websites come and go over time but one thing remains the same - they all need a permit. This Honolulu parade and event schedule site will show you all the updated information for upcoming events on Oahu, including Chinese New Year. Chinese Chamber of Commerce has information regarding the Narcissus Queen Pageant and ticket sales. This event happens much earlier then Chinese New Year celebrations so be sure to check in late December and early January. This site also has information on Chinese New Year celebrations that they sponsor and includes the Narcissus Queen Court. Times, ticket prices and recommended parking are here. Sing Yung Dragon and Lion Dance Association 昇勇龍獅協 has a great, up to date Facebook page with some videos of them practicing in addition to their schedule of performances throughout Oahu. You can watch them at several locations on Oahu during Chinese New Year celebrations or hire them for a private affair. Honolulu Chinese Jaycees has an active group of professionals on Oahu that is always looking for volunteers. Want to find out what happens behind the scenes? Want access to volunteer parking? or maybe you just want to give back to the community. This facebook page will put you in touch with event organizers and volunteer coordinators. Maui Mall hosts some events each year although it seems to move about depending on funding and sponsorship. Overall finding information on Maui Chinese New Year festivals was very hard to find but here are 3 other recommended sites and facebook pages to check in with. Maui Chinese New Year Festival (Facebook Page) , Wo Hing Museum Lahaina , and Wah Ngai Lion Dance Association (they have danced on Maui in the past). Shops at Mauna Lani hosts the Fortune Festival during the month of February with lion dancing and other celebrations for Chinese New Year. Check their site event calendar for the latest information. Big Island Shaolin Arts Lion Dance preforms for several locations on the Big Island during Chinese New Year. Their contact information is on their Facebook page but with no event calendar, so you may need to email or call. Hilo Downtown Improvement Association has hosted a Chinese New Year festival from time to time but funding seems to be a big issue. Check their events calendar to see if this year will be one with a parade or festival. Kauai Museum is the only organization with any reliable information regarding Chinese New Year festivals on Kauai. If nothing is posted on the site feel free to reach out and contact someone there. Garden Island Arts is also another possible source for information on events happening on Kauai. Mel Chung Gunsmith owner Mel Chung has been quoted in articles about Chinese New Year on Molokai. Did we miss an organization that you know about or work with? 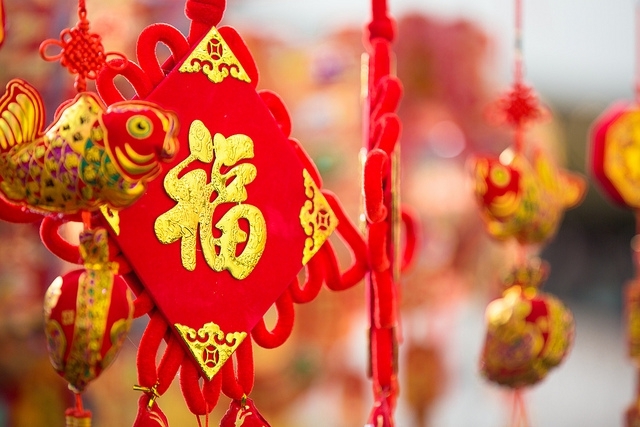 Have an inside scoop about Chinese New Year in Hawaii that you would like to share? Email us at enquiries@myguidehawaii.com and we will update this article once reviewed. The Windward Mall Farmers Market is located on both levels within the mall making browsing all the prepared foods and fresh vegetables an enjoyable experience. Kailua Town Farmers Market, not to be confused with the Kailua Farmers Market on Thursdays by Whole Foods and Longs. Click here to request a new featured guide for Hawaii from your Local Experts!